Happy Friday! I'm sorry for my poorly neglected blog! 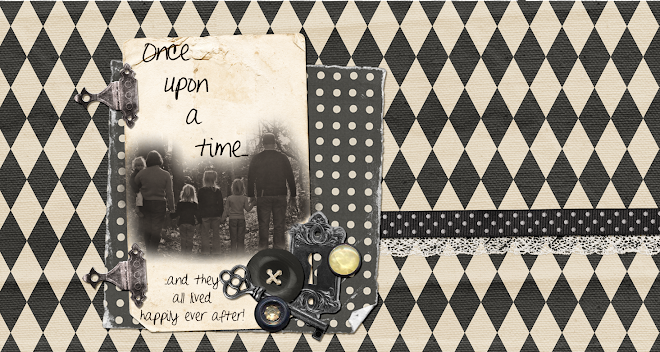 I post more on one of my Designer's blogs, than I do on my own! 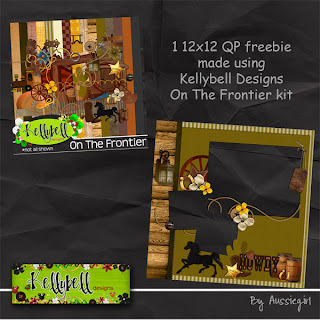 I have a QP Freebie for you today! 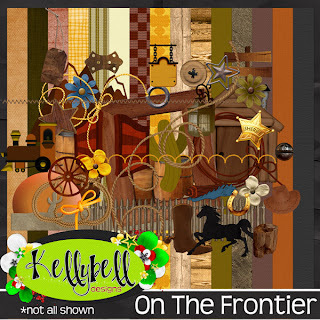 For the next few months, I have the priveledge of being a Guest CT for Kellybell Designs! Kelly does digital scrapbooking kits inspired by her love of Disney! It's a great way for me to build up my Disney stash of fun kits before our next trip (hopefully in Nov. 2012). Today's release is Frontierland! It's full of fun elements for pages of Splash Mountain, Big Thunder Mountain Railroad, meeting Buzz, or even your favorite little buckaroo! Thank you so much for this post. 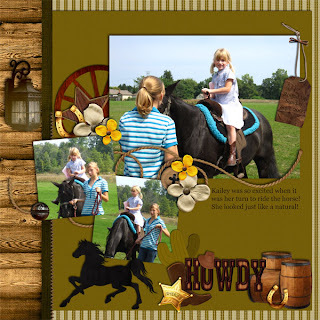 I want to let you know that I posted a link to your blog in CBH Digital Scrapbooking Freebies, under the Page 11 post on May. 03, 2011. Thanks again.